Glu Games is probably best known for their series of celebrity-endorsed games, including Kim Kardashian: Hollywood, Kendall and Kylie, and Nicki Minaj: The Empire. They’re also the company behind the Dash series of games (Diner Dash, Hotel Dash, Restaurant Dash, the latter one featuring another celeb, Gordon Ramsay), and the Deer Hunter and Dino Hunter series. 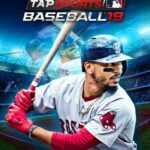 But if those games aren’t your cup of tea, and you’re looking for a timely new sports game now that the 2018 Major League Baseball season has just kicked off, you’ll want to check out Glu’s latest entry in the sports game genre, MLB Tap Sports Baseball 2018. 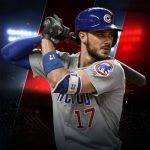 This game features all 30 MLB teams, with their real-life, updated rosters for the current season, as well as a variety of game modes where you can take on human players from all over the world, strategize on offense, and stay laser-focused on the ball as any MLB hitter worth their salt should be. We understand that you may be excited to get cracking and dominating the diamond, but there are several things you need to take note of if you want to make the most out of this game and be in top form out there on the field. But we shall, as we often do, start with the fundamentals, as we now present our MLB Tap Sports Baseball 2018 strategy guide for beginners. This may be a long one, so hang on tight as we break down the fundamentals of this game, which we hope would get you up to speed while you’re still getting your feet wet and learning the game’s mechanics and features. While most baseball games will require you to be active on both offense and defense (pitching, and sometimes fielding as well), that’s not the case with MLB Tap Sports Baseball 2018. The very first thing you may notice is that you are mainly in charge of hitting, with some occasional situations where you may need to make a decision on whether to go for a steal, or whether to bunt or not. The game’s AI handles all pitching and fielding strategies, so most of the time, all you need to think about is the timing — when and when not to swing? Depending on whether you’re a baseball fan or not, you may or may not know what exactly encompasses the strike zone. Technically, the strike zone makes up the space between the middle of a batter’s chest area and the bottom of their knees, so you’ll want to swing the bat if you notice the ball within that space. You’ll also need to think and act fast, like real-life baseball players do; keep your eye on the ball, and avoid swinging impulsively, especially since all it takes to swing the bat is one tap, anywhere on the screen. If you’re not careful, you may end up swinging when the pitcher is actually throwing outside of the strike zone, thereby putting the count in favor of the pitcher! Although a lot of the game’s outcomes are statistically based, if you’re actually doing the batting, your success or failure will mainly be on you. If your timing is perfect, you might end up crushing even the Majors’ top pitchers, but if you haven’t got it down pat, there’s a chance that even a mediocre scrub of a pitcher with unimpressive stuff could look like a potential Cy Young Award winner. It’s going to take a lot of practice, but timing is far more important than statistical supremacy in this game. When playing a regular game, you are essentially competing in real time against another human player. Once you’ve gotten your three outs and are done batting, you’ll need to wait for the other player to get three outs, while the AI controls the pitching on your end, and that could take a while. If you’re not amenable to waiting several minutes, or in many cases, several hours before your turn to bat, you might as well play Bonus Games, which eliminate the waiting process completely. Your batters step up to the plate, after which the game shifts control to your opponent, with the AI simulating your pitching and their batting, rinse and repeat until nine innings, or the off-chance of extra innings if the game ends up tied at regulation time. It’s a faster way to play the game, and chances are you’ll be playing bonus games more often than not. There’s another notable advantage to playing bonus games, as opposed to standard PvP games in MLB Tap Sports Baseball 2018. If you’re in a regular PvP game, you’ll be doing all the batting and offensive strategizing, no questions asked. But if you play a bonus game, you will be competing against another human team, but with the option to switch to or from Autoplay at any given point in the game. We’ll tell you why you may prefer playing bonus games in our very next tip in this guide. If you and your players are in the zone, then it’s definitely fun to play MLB Tap Sports Baseball 2018. One home run could lead to another, and those big leads could get even bigger, as opposing pitchers have no answer to what your lineup is bringing to the table. But Tap Sports players are like real-life baseball players, in the sense that they get into slumps. One player striking out after the count was once 3-0 could be the start of it all. Or it could be a failure to score with the bases loaded. In any case, you may find yourself striking out at every at-bat, with no end in sight to your team’s misfortunes. What can you do in this case? If this was your average casual arcade game, we’d suggest taking a 30-minute breather or so to regroup and recharge. But MLB Tap Sports Baseball 2018 has the Autoplay feature (only available for Bonus Games), which you can use to your advantage. Sure, it’s more fun to be doing the hitting yourself, and strategizing in between at-bats. But if you’re mired in a massive slump, you might as well let the computer take some turns at the bat, or perhaps handle things for the entire game — you can choose to return to manual hitting, or go back to Autoplay at any time within a game, as there are prompts after every inning. In most cases, seeing the computer guide your team to some wins should encourage you to get back into the thick of things, so this is one situation where you can rely on the AI and actually get something out of it. Although it’s timing that will primarily dictate whether you do well or not at the bat, it’s also a good idea to take a look at their stats, as that could help you decide how to play against their pitching. THR refers to the arm they throw with, ARM refers to their arm strength, CTL to their pitching control, with lower numbers meaning a higher chance that they’d throw balls or wild pitches, and STF refers to their “stuff,” or the versatility of their pitches; a player with a high STF rating would have several types of pitches that they can throw your way. When working against pitchers who have a low CTL rating, you won’t have to swing as much as you normally would. Sometimes they could end up loading the bases (one player each on first, second, and third base) without much effort on your part, as they’ll be walking your players (four balls, or a base on balls) more often than striking them out. Players with high ARM ratings will generally be hard to deal with if their CTL is decent; that would require you to pay extra close attention to the trajectory of the ball. That may or may not be the case if a pitcher has a high STF rating; the pitches won’t always be fast, but their trajectories will differ depending on the type of pitch they throw, effectively throwing you off. Again, your timing will make the most difference, but you can always blend in some strategy of your own by taking advantage of a pitcher’s strengths and weaknesses. Want to earn more cash and gold to make your team better? Simply go to the Achievements menu, and you’ll see a list of different tasks which you can accomplish, with cash (the common currency) and gold (the premium currency) up for grabs if you’re able to complete those tasks. As you may have noticed, these are all things that can be done during the normal course of playing MLB Tap Sports Baseball 2018, such as scoring a specific number of runs, winning so many games, etc. You can always view the Achievements menu to see what you need to do to earn your next currency rewards, but since you’ll really need to concentrate while hitting, it’s probably best that you just let the achievements come in, instead of forcing the issue at the expense of your batting rhythm. When we say “draft picks,” we’re not referring to the raw rookies MLB teams select, but rather players from existing teams (other than the one you chose) who can immediately be added to your lineup. Draft picks can be awarded if you win regular or bonus games, or they can be purchased in the store, with first-round picks costing you 100 gold, second-round picks worth 4,000 cash, and late round picks worth 1,000 cash. You can also purchase a first-overall draft pick for 300 gold, and that’s obviously going to guarantee you one of the MLB’s top players, though the player you’ll be receiving (and his position) will be completely randomized. First-round draft picks give you a decent chance of landing someone with a 65 rating or higher, meaning someone who could immediately replace somebody else on the starting lineup, second-round picks are usually good, but not great additions to your batting lineup or pitching rotation, while late-round picks are generally scrubs. Draft ranking is all about your chance of landing a rare, tremendously-skilled player, so you might want to save up the gold you win via the achievements. Now that you’re aware of how playing in Autoplay isn’t as dangerous as it is in other games, and actually a good way for you to recover from slumps, or simply ensure yourself of a better chance of winning bonus games, let’s talk about significantly increasing your chances of winning in Autoplay, and only slightly increasing them in regular games, or if you decide to do the hitting yourself. The Team menu allows you to do a number of things, including improving your players. This simply means giving them statistical boosts, which can, in turn, improve their star rating. In order to improve your players, you’ll need to spend some cash and XP, but since we’ll be explaining in a bit how the latter is a limited commodity in the game, we will advise you in this tip to focus only on your best players. It’s no use improving someone whom you’ll likely get rid of anyway, so you might as well focus on your stars! How can you get more XP in the game if you don’t earn it by winning versus opponents in regular and bonus games? As the game will tell you early on, your primary source of XP would be players who have become surplus to your needs — those who are on the bench or inactive at any given moment. Naturally, better and rarer players will earn you more in return, but since you’ll largely be trading scrubs away, don’t expect to earn much XP at first. It could, however, add up, so don’t hesitate to deal away the players whom you no longer need. Simply tap on the Trade-In button beside Improve on the Team menu, and you’re all good. 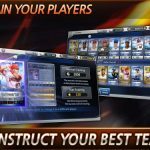 Team improvements in MLB Tap Sports Baseball 2018 are actually referred to as Upgrades, and these may run the gamut, as there are upgrades that could improve your team’s overall batting average, home run power, pitching accuracy, fielding, etc. While it’s certainly important to improve the stats of the best players you currently have on your team, it also helps to upgrade team stats — think of these unseen stats as passive improvements that may ultimately be more beneficial to your team than the individual player upgrades. We made such a mistake one time — focusing solely on player upgrades, but leaving the team upgrades alone for a good several games. That resulted in a bad losing streak, but we did eventually get back on track after upgrading team stats once again. When talking about the most important of the team upgrades, it would depend on your play style — do you prefer a defensive-oriented lineup with strong pitching and equally dominant defensive play in the infield and outfield, or is there nothing better for you than scoring home runs? But if we are to choose a specific upgrade that should be prioritized, we’d go with Hitting Coach (more hits) and Pitching Coach (more outs). These, after all, are the topmost upgrade options for offense and defense respectively. Franchise Players are, as their name suggests, the best of the best in Major League Baseball. And while you may think that ratings in MLB Tap Sports Baseball 2018 only range up to 100, Franchise Players sometimes have ratings that well exceed that threshold — Albert Pujols, for example, has a rating of 137, with HIT and PWR ratings of 147 and 151 respectively! During the tutorial stage, your first franchise player will be on the house, but after that, you’ll need to pay one Franchise Coin, which you will normally get for free if you win playoff games (more on that in the next guide), in order to extend that player’s contract. Sometimes, you may have to pay gold to acquire a new Franchise Player or extend his contract. So how long is this contract anyway? Unfortunately, Franchise Players’ contracts last only five games, which isn’t how things work in real life. But for the purposes of this game, it’s just fair — with stats like theirs, they can be real game-changers out there on the field, but you can only hang on to them for so long before large amounts of in-game currency are involved.